No third-party apps with hidden costs required. All-in-one package. See local and network traffic in Real-Time. 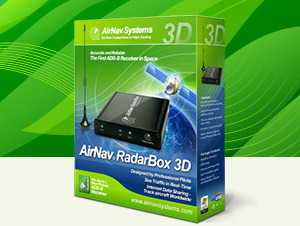 Network your station with others Only RadarBox comes with an included and integrated aircraft tracking sharing network. Extensive aircraft and route database Over 100 thousand records. Daily maintained by a AirNav Systems experts/volunteer team. Continuous Software Updates RadarBox has had permanent software updates. SBS didn't have a single major software upgrade since released. Online Support Forum RadarBox forum is the world's biggest Mode-s community. Criticism not tolerated on SBS forum. Online Support Average RadarBox ticket response reply is of less than 8 hours. Click here for more extensive comparison documentation. SBS-1, Kinetic SBS-1, and Kinetic are names or trademarks of Kinetic Avionics, and are used for product comparison only. AirNav Systems makes no claim of affiliation, sponsorship or endorsement by Kinetic Avionics. All comparisons made by AirNav Systems personnel and not by a third-party.